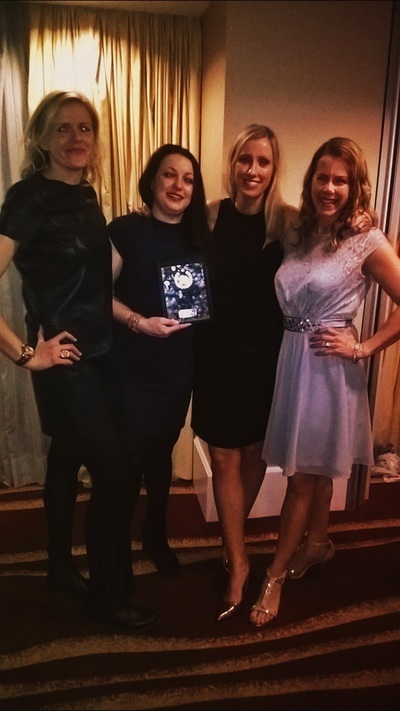 Net 10 for Life for 2016 is now over! 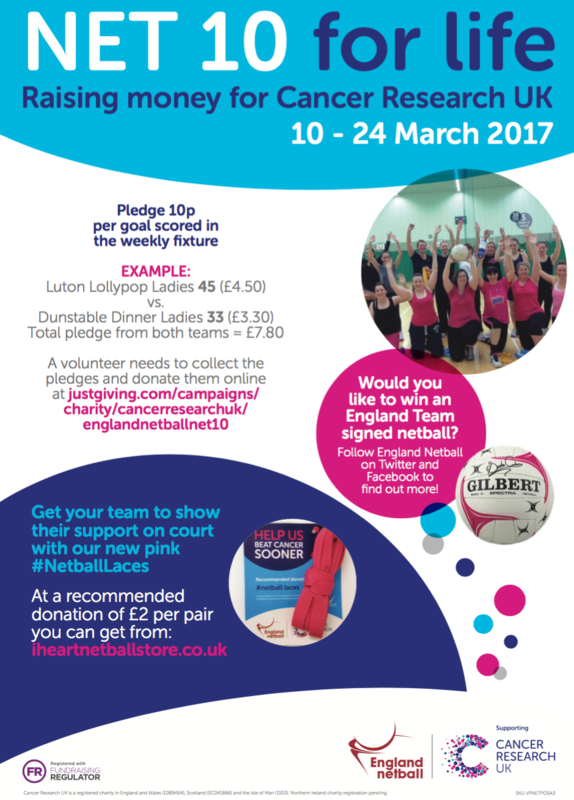 The reports below are from organisations that took part to raise money for Net 10 for Life which went to Cancer Research UK! 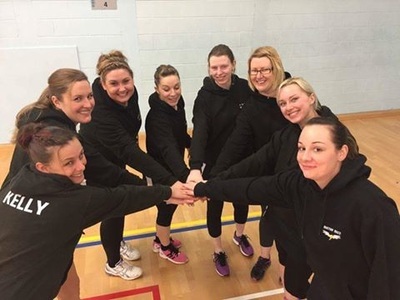 Thank you to Loughborough Town Netball League for your donation of £100 from your Net 10 for Life activies. A fantastic night at Nottingham's Park Plaza celebrating team success, league and individual achievement. 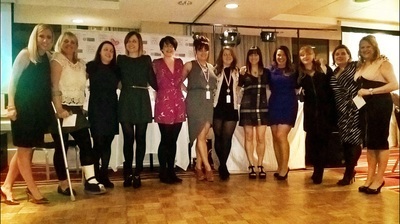 Over a hundred women attended the annual event including Mel Berry from TGC and Nikki Mottishaw from Sport Nottingham. 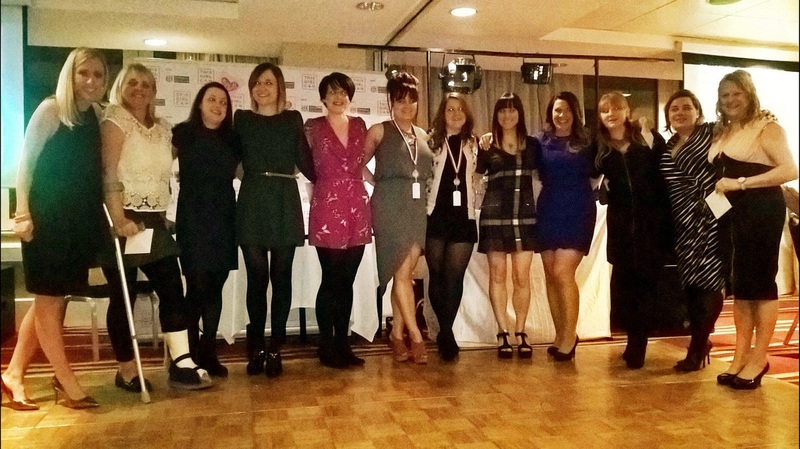 Over £100 was raised for Net 10 for Life! 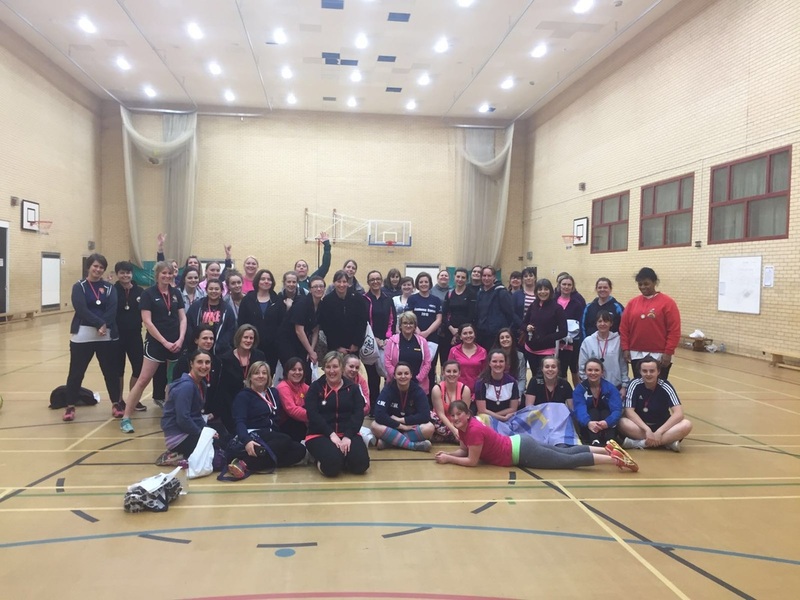 On Monday 21st March, over 50 ladies from local workplaces took part in the Netball festival, as part of the local workplace health initiative, Workplace Challenge. The netball event was organised in partnership between Northamptonshire Sport Community Sports Development Officer, Sarah Harvey, and Northamptonshire Netball Development Officer Kelly Walker. Six work place teams took to the court with many ladies not playing netball since they were at school. The festival was played in a round robin format and was officiated by volunteer umpires and table officials throughout the evening. 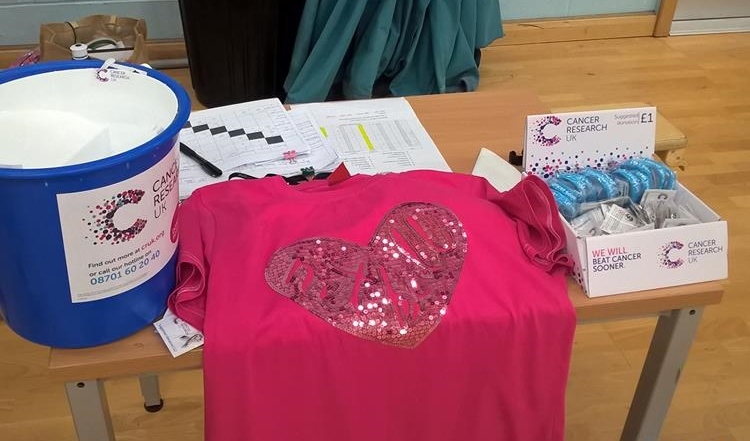 The ladies were also given goody bags provided by Northamptonshire Sport and also information of their nearest back to netball / club session. 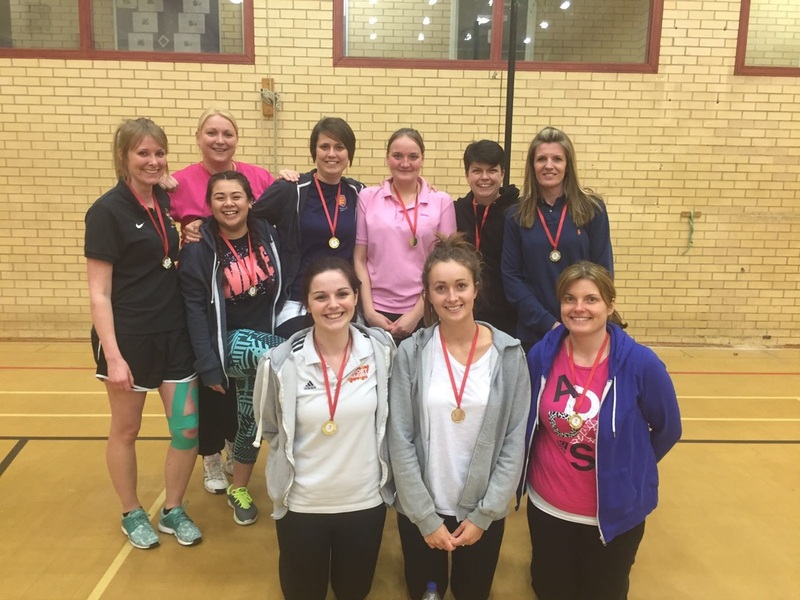 Kelly Walker Netball Development Officer said ‘ It was great to see some ladies returning from the success of last years events and also new ladies who haven’t played for a number of years. 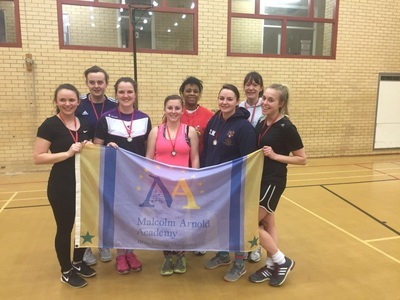 The atmosphere was brilliant with teams encouraging each other in a competitive but friendly spirit. 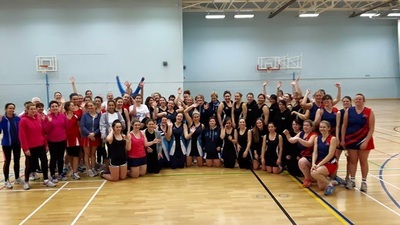 A huge thank you to Katrina, Paige and Beth Dillon, Michele Savage and Sian Hughes-Jones and to Sarah Harvey from Northamptonshire Sport for making the event a huge success. Sunday 21st February saw the first of the Back to Netball festivals for 2016 held at Deans Sports Centre Lincoln. Over hundred and twenty ladies attended the festival which was held as part of England Netball’s ‘Net 10 for Life’ which starts next month raising money for Cancer Research UK. The event raised £250.67 for CRUK through the sale of merchandise and donations from the entry fees. 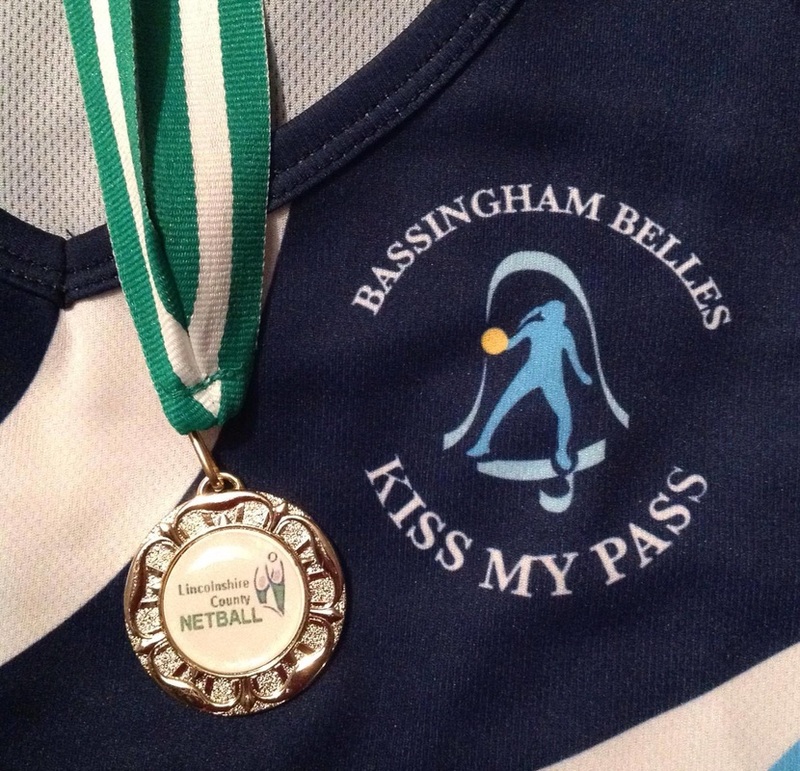 The Back to Netball schemes are for ladies who haven’t played netball for some time, or not at all. 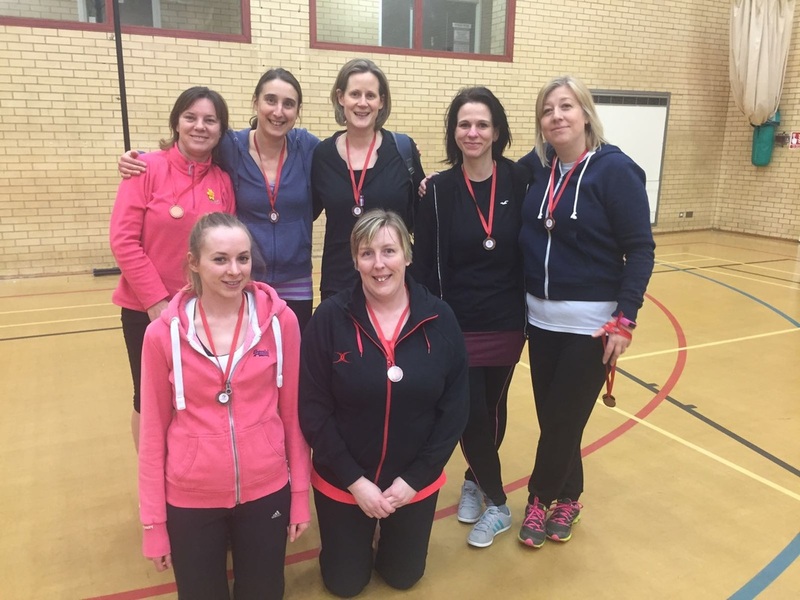 They combine basic netball skills with some games and are designed to be a fun way of improving your fitness as well as meeting new people. 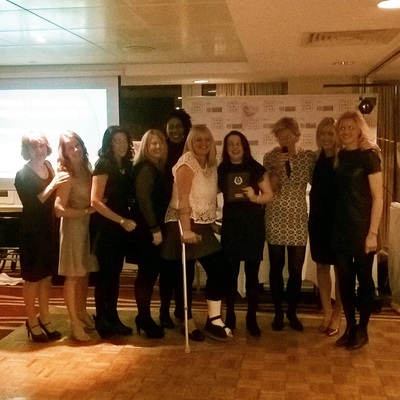 They are very flexible so if you can’t make it one week it doesn’t matter so they fit around your lifestyle. For more information on B2N contact Louise Key louise.key@englandnetball.co.uk.